We just wanted to get a blog post out to let course participants and their families and friends know that internet service is VERY slow and unpredictable at many of the places we go in Costa Rica, including the current hotel. This is already causing delays in getting pictures uploaded and the blog posts completed. Please continue to Follow us and check in periodically to see what new pictures have been successfully posted. Posts may be out of order, but all posts will be dated in the Heading. The trip is already off to a great start, with an immersion on Day 1 into the History of Costa Rica by our amazing guide, Mark Wainwright, as well as a course overview by Dr. Auger. 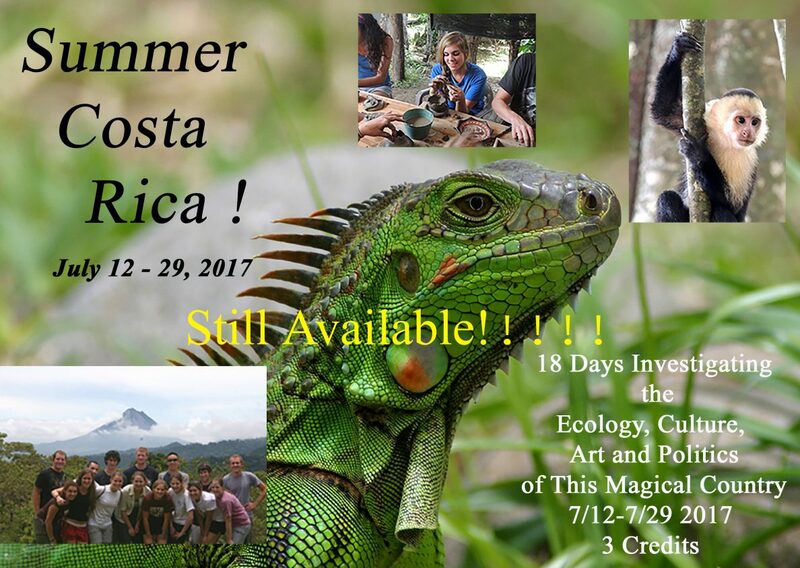 The food has been terrific, the birding and other wildlife sightings spectacular, and course participants are already making many new discoveries! Stay tuned for more posts!